Deciding which horse rescue would receive Dynamite’s first donation for the Year of the Horse Project was not easy because of the number of nominations and the passion that was behind each nomination. 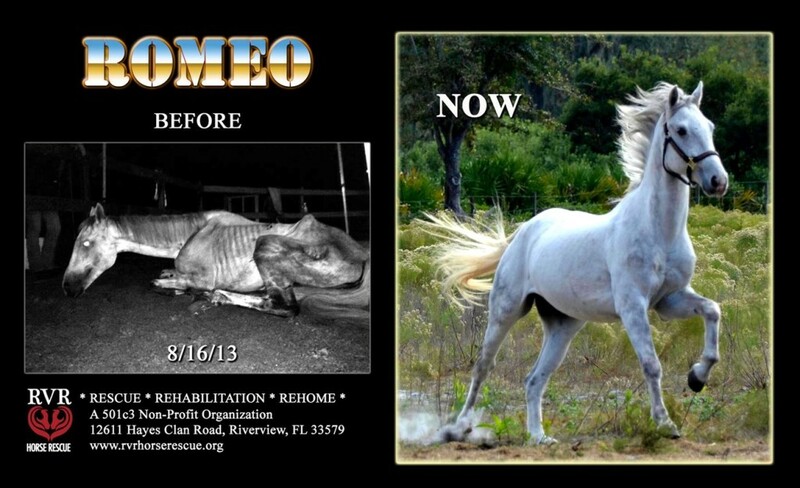 Nevertheless, we are thrilled to announce our first recipient will be RVR Horse Rescue out of Riverview, Florida. This amazing rescue spoke to us with the number of nominations it received as well as its alignment with our mission and vision. RVR’s mission is to intervene, rescue, rehabilitate and provide sanctuary for neglected, abused, abandoned, and traumatized horses and farm animals. Their goal is to take them out of their bad situations and find loving homes for them. They provide medical attention, nutrition, training, and a safe haven to rehabilitate the horses so they can place them for a small adoption fee to approved, loving homes. They work closely with Hillsborough County Sheriff’s Agriculture Department. They take action to save horses being sold for slaughter. RVR Horse Rescue also keeps track of all adopted horses to make sure their living conditions remain good for the rest of their lives. Through the experiences of their volunteers, they have quickly realized the impact they have, not only on the horses they rescue, but on the humans who help them. Their vision is to be able to use safe, rescued horses, and their stories, to help heal broken-hearted, sick, and disabled humans as well! RVR isn’t just a ranch where people can drop off an unwanted horse. They deal with the worst of the worst when it comes to cases of animal abandonment, neglect and abuse. Take for instance Romeo who, when they found him, had a body condition of 0.5 on the Henneke Scale. Imagine the immense amount of time, love, patience and money it took to bring that horse back to life! The staff and volunteers at RVR are true angels of mercy to these animals. Dynamite’s vision is to improve the lives of all creatures. RVR is fulfilling that vision daily. We look forward to working together in this endeavor. How can you participate in the Year of the Horse Project? Between February 1st through April 30th, Dynamite will be collecting funds from every Equine TNT purchase (click here for details) for a donation at the beginning of May. We will also set up options for product and cash donations as well. Be sure to check our Facebook page daily for announcements on other ways you can help this amazing horse rescue!